Manufactures reactors of capacities varying from 50L to 1, 20, 000L in various materials of constructions such as stainless steels Gr. 304 / Gr.316 / M.S. etc. 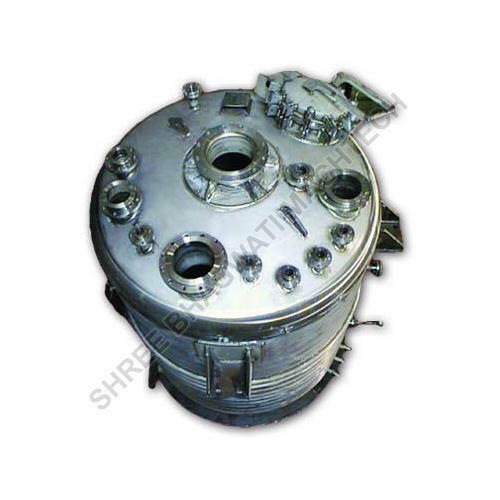 The reactors are provided with various types of Agitators such Turbine, Anchor, propeller or any special type as per requirement of the process. It may be provided with internal cooling coils if needed. Manufactures reactors of capacities varying from 50L to 1,20,000L in various materials of constructions such as stainless steels Gr. 304 / Gr.316 / M.S. etc. The reactors are provided with various types of Agitators such Turbine, Anchor, propeller or any special type as per requirement of the process. It may be provided with internal cooling coils if needed.